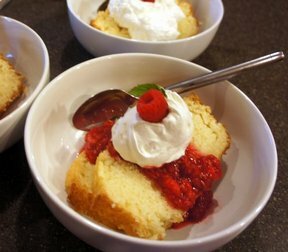 Raspberry shortcake-like dessert that is easy to pull together. Sweet from the creamy topping and tart from the raspberries. 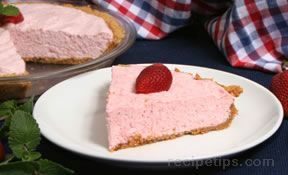 Strawberries could certainly be used in place of the raspberries, or use a combination of both. Puree raspberries with half the sugar. Slice the cake. Cut into 1/2 inch cubes, if desired. Divide cake in 4 lowball, wine, or martini glasses, or toss into bowls. 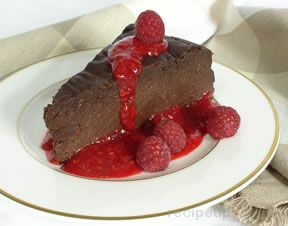 Top with equal amounts of raspberry puree. Gently blend the mascarpone with the vanilla extract and remaining sugar. 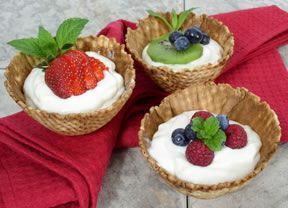 Fold in the whipped cream and put a scoop of this mixture into each glass. Finish with fresh berries and serve immediately or chill up to 4 hours. "Yum! I used Tastefully Simple's Absolutely Almond Pound Cake so I used almond extract in the whipping cream instead of vanilla. No words to describe except now I am miserable since I ate SO much!"